In 1995, we helped a company locate sand and gravel volumes in San Marcos, Texas. This material can be mined and sold for construction purposes. The Sting R1 with 47 Dual-Mode Swift electrodes was spaced three meters apart. Two parallel lines were collected eight meters apart to identify conductive silt/clay/shale and resistive sand/gravel areas. 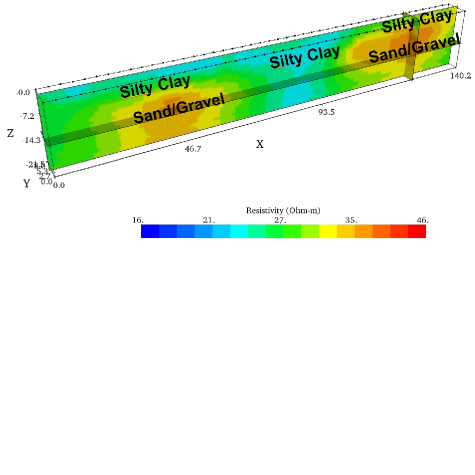 You can use this method to locate bulk aggregate material—rocks, gravel, sand, etc.—for construction use. In this case, our client could sell the the mined aggregate material for profit. 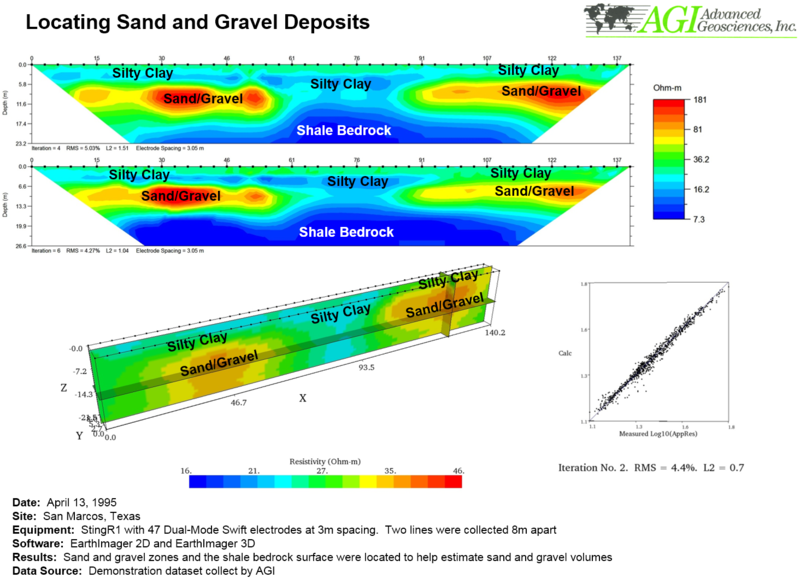 Additionally, sand/gravel are often associated with groundwater aquifers giving the method an added benefit of locating water in any application underground. We have retired the instrument used in this example, the Sting R1. We recommend the SuperSting™ Wi-Fi for surveys like this because it expedites the survey (you can collect and record data up to 15 times faster than with the Sting R1).